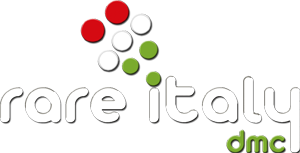 It’s from Area Viaggi Tour Operator more than 10 years experience in the travel industry and holiday planning that a new brand for the Italian incoming market has seen the birth: Rare Italy. We are specialized in offering tailor made proposals according to the specific customer’s requests because our strenght is the excellent knowledge of the area, qualified suppliers and a dynamic team of enthusiast and professional people: a guarantee for the best service at the right price. Our passion is to discover and to highlight the unique features hidden in our region and our goal is to convey thrilling sensations to curious travellers.